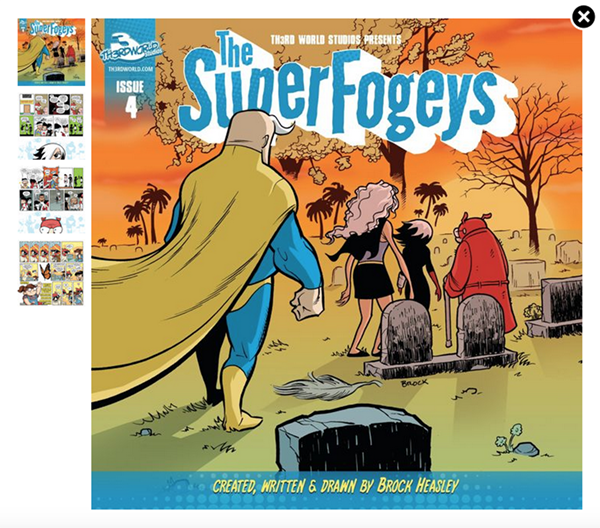 SuperFogeys - SuperFogeys Issue 4… the One with the BIG Reveal… Now Available at Comixology! Wow, just a week later and Issue 4 is up on Comixology! This issues features SF Chapters 7-9, including the big, BIG reveal that turns everything you thought you knew about SuperFogeys on its head. These chapters have NEVER been collected in print, so this is a great way to refresh or try SF out for the first time.